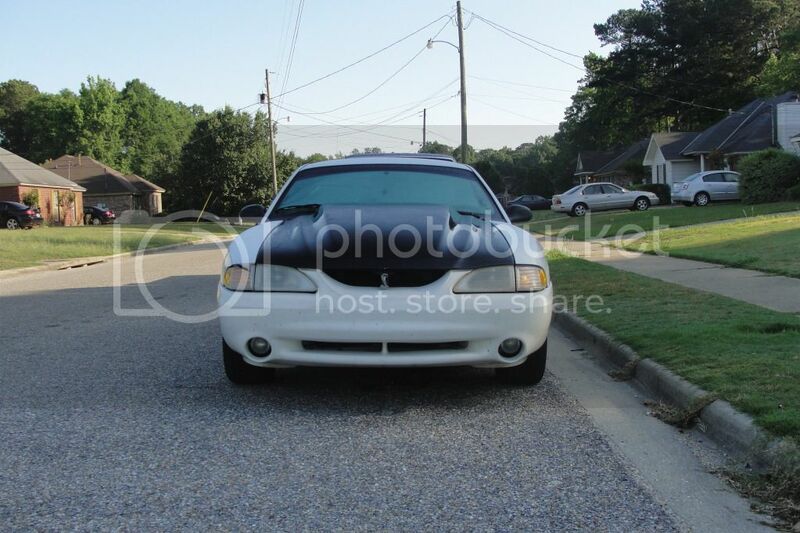 well i have been looking for a cobra r hood for a little while now. and my brother-in-law called me and told me he knew a guy that had one. so he sent me a pic and a phone number, so i called the guy up and i picked it for $100. all i have to do is paint it white and put it on. i got my hood and installed it but left it black for now. here are a few pics. Wow man for a hundred bucks I would say you did good. Are you planning on painting it?? that guy got any more hoods for $100? 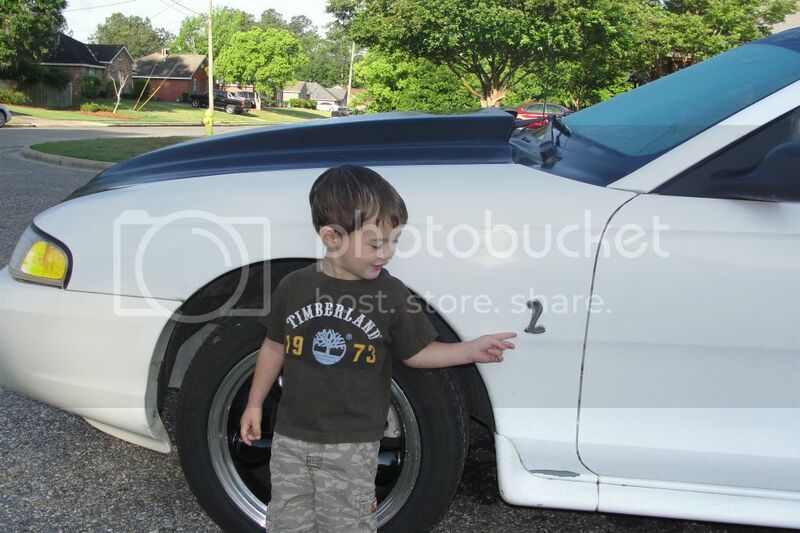 the guy payed $100 for the hood and then sold his mustang and never installed it. he has had the hood for a while. the guy he bought it from cut about a foot section out of the back on the bottom so his blower would fit under it. structurally its still sound. it does have a couple of deep scratches but its fiberglass so its no big deal to fix. i am going to paint my car around tax time so it will stay black until then. but i figured for $100 i couldnt go wrong. Heck, I would just leave it. Black on white looks mean. i kinda thought about that. my wife hates it she says everything should match. 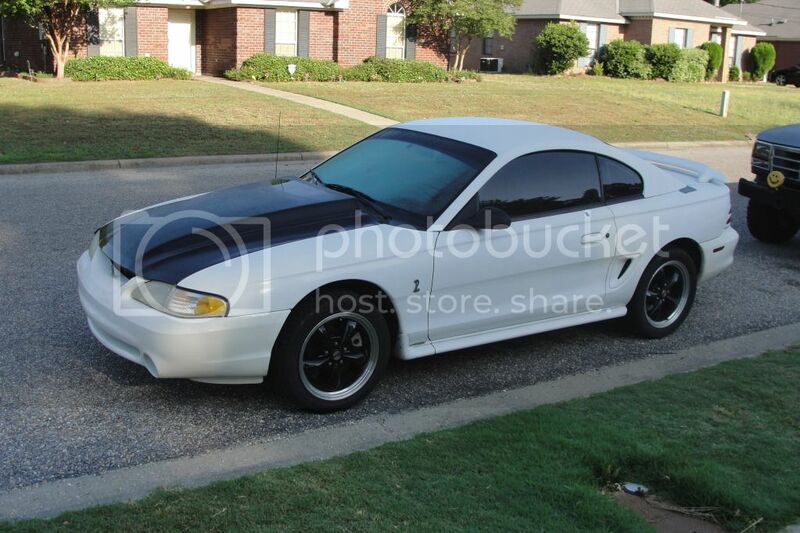 i was thinking about pearl white and maybe the hood roof and spoiler black. Naw dude it's ricy looking when your start mismatching colors. Paint to match. Something worth doing is worth doing right.